Starting in 1993, SW Audio+Visual began a comprehensive In-house Technical Services Management program for the Grand Okanagan Hotel and Conference Centre. The program was created to provide the Grand with contracted management and support of all audio visual, electrical, rigging and support staff services. 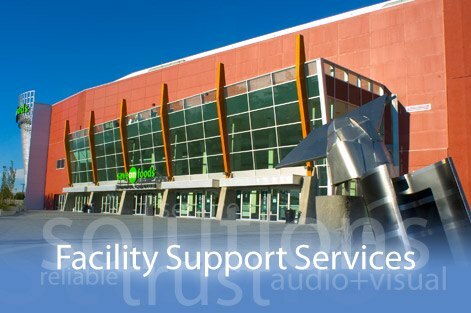 This successful model was then extended into new partnerships with several other conference facilities in BC and in 2000 led to the extension of services into large arena facilities like Prospera Place in Kelowna and Save-On Foods Memorial Centre in Victoria.